Barnsdales has been recognised as one of the best employers in the property sector by an industry-leading media organisation. The listing in the latest edition of Property Week as one of the best places to work caps a year of expanding our team and our range of services dramatically. The company earned particular praise for a flexible approach to employment policies, with the Property Week researchers highlighting the work/life balance and job share options as key criteria. Jason Barnsdale, Managing Director of the company, said: “We are absolutely delighted to be recognised by one of the most influential media organisations in our sector as a best place to work. 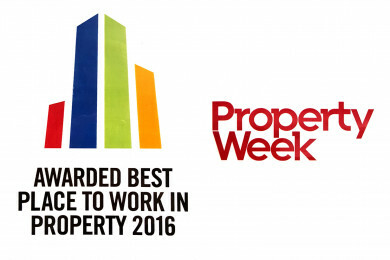 Property Week invited applications from UK-based property businesses with more than 15 employees. Companies with between 15 and 24 employees – a category which included Barnsdales at the time of the research – had to demonstrate a survey response from at least 80 per cent of employees. Barnsdales was founded in 1905 and built a strong reputation for residential sales and lettings under Jason’s great grandfather, grandfather and father. Jason arrived from London in 2007 with a wealth of commercial property experience. In January this year the company launched the new Barnsdales Living brand in Hallgate, Doncaster, to provide its residential services and moved its commercial, facilities management and property auction businesses to Sidings Court, next to Lakeside Village. Continuing expansion throughout the year has seen Barnsdales increase its workforce by around 50 per cent, with recruitment in all areas of the business. Jason said: “The business is growing in terms of volume, sectors and geographical areas of activity. We are at the heart of so many of the great developments that are transforming the Doncaster area and we also have contacts elsewhere in the UK with a lot of property involvement in the south east and London.